The TaoTronics TT-BR05 Bluetooth 4.2 Receiver with EDR + A2DP profiling offers a convenient and functional way to transform audio and hi-fi systems into wireless compatible ones. Pair two devices at once and listen to music or make phone calls with ease. The built-in microphone picks up your voice with clarity so you can chat without problems. With 10 hours of battery life, or 200 hours standby time, there is enough to last most car trips before you need to recharge. Ideal for car or home speakers, you can also enjoy high-fidelity stereo audio through headphones. Simply connect your ear buds once the car kit is synced to a device be blown away as they turn into hands-free Bluetooth headphones. At TaoTronics, not only we offer high quality products, we back them up with a 12-month warranty and another 18-month warranty which can be extended. Genie uses an AudioSmart far-field voice processor. The AudioSmart voice processor detects sound in 360 , isolates and removes noise, then utilizes echo cancellation to hear your voice during music playback or voice prompts. 1Mii B06 Plus APTX Wireless Bluetooth Receiver This amazing Bluetooth adapter helps you get rid of wires and enjoy a high quality wireless music freely. Why Choose US? 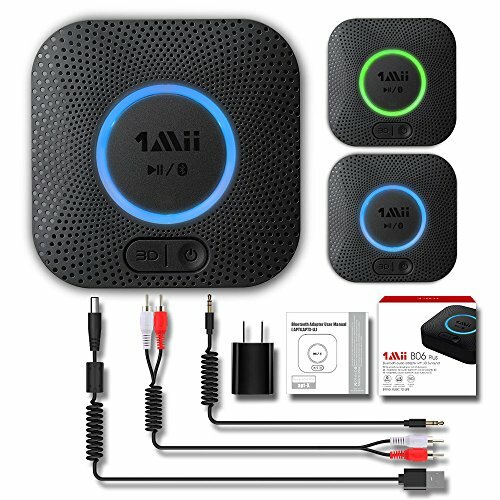 -164FT Long Range for Bluetooth Music Streaming The 1Mii Bluetooth audio receiver uses the most innovative Bluetooth technology. It implements CSR Bluetooth 4.2 protocol and the APT-X Low Latency technology that delivers the most superior sound quality. And it can achieve a range of up to 164ft (50m) line-of-sight in open air and up to 50-70ft (20-30m) indoors. -Power On and Automatic Reconnection The updated version will power on if you plug the Bluetooth receiver into a switch outlet and reconnect automatically with the previously paired device. -Unique 3D Surround Sound Function With the 3D audio button, you can switch to 3D mode to enjoy the surround sound with High Fidelity from a normal audio source. Its advanced internal chip takes charge of the conversion to make it possible, using convenient lossless codes. 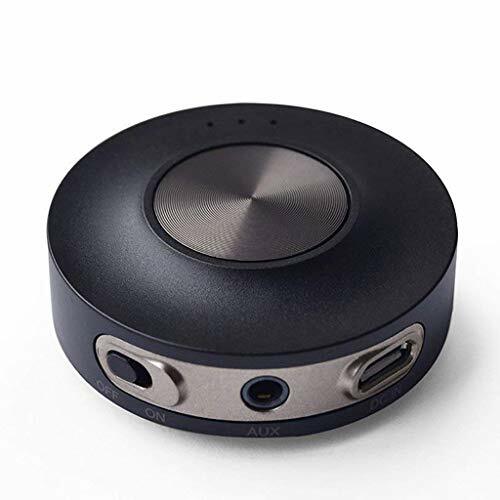 -Dual Bluetooth Connectivity This Bluetooth receiver can pair with two Bluetooth enabled devices simultaneously which allows you to play music from either your phone or tablet/laptop. What's in the box? 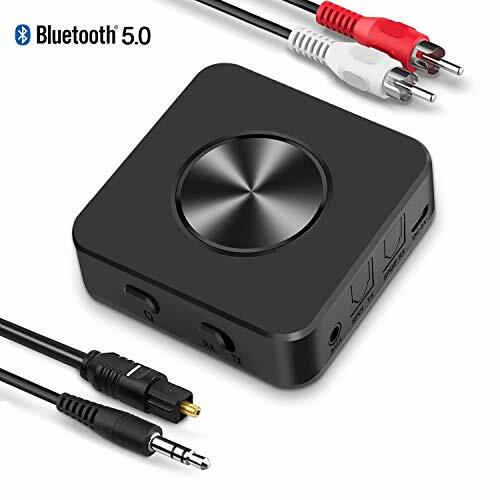 1x 1Mii B06 Plus APTX Bluetooth Receiver 1x USB Power Cable 1x USB Power Adapter 1x 3.5mm Audio Cable 1x 3.5mm 2 RCA to 2 RCA Male Cable 1x User's manual Note please use 5V power supply! Do not use unmatched power sources (e.g., 9V /12V), which may lead to equipment failure! 164FT LONG RANGE With Class 1 Bluetooth technology, the 1Mii Bluetooth receiver can achieve a range of up to 164ft (50m) line-of-sight in open air and up to 50-70ft (20-30m) indoors(without obstacles). 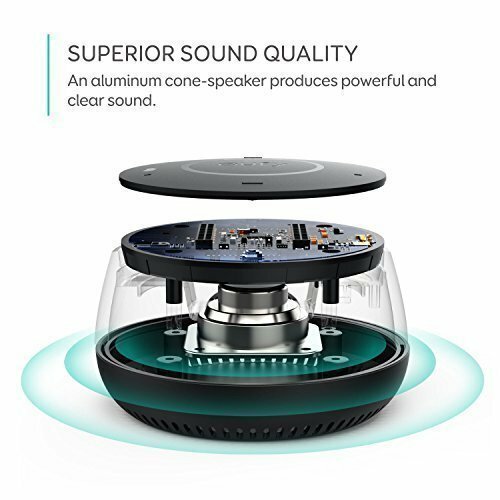 Hi-Fi SOUND WITH 3D AUDIO It features CSR Bluetooth 4.2 chip to ensure high fidelity transmission of Bluetooth audio signal for music streaming to those speakers or home stereo systems that doesn't have the capability. It also supports aptx and aptX Low Latency (aptx-LL). And the 3D audio can be switched on or off by pressing the 3D button on the Bluetooth audio receiver. The green LED will be on when switched to 3D audio. POWER ON AND RECONNECT AUTOMATICALLY When plugged into a power outlet, the Hi-Fi Bluetooth audio receiver can power on automatically and reconnect with the previously paired device. EASY SETUP, EASY TO USE Easy plug, pair and play. This updated unit comes with a USB power adapter. Plug into computer speakers, home stereo systems or other speaker systems via the 3.5 mm or RCA cable, then pair with the Bluetooth audio devices such as smartphones or tablet. After that, you can enjoy the music. This product is a receiver only, NOT a transmitter. 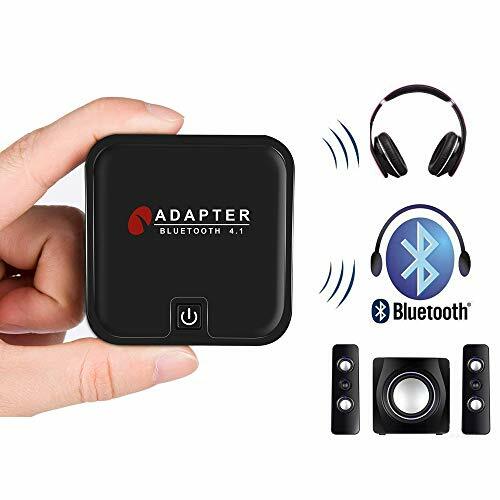 WORKS WITH VOICE COMMANDS Connect this Bluetooth adapter to your speaker via a 3.5mm jack or RCA cable, pair the receiver with your Echo via Bluetooth on the Alexa app, it is easy to control your music with voice commands. Please make sure to use the audio cable to connect the Bluetooth receiver with your speaker, not with the Echo. iPhone iPod is a registered trademark of Apple Corporation. Bose is a registered trademark of Bose Corporation. INVERY shares no affliliation with Apple Corporation and Bose Corporation. Any mentions is for references purposes only. 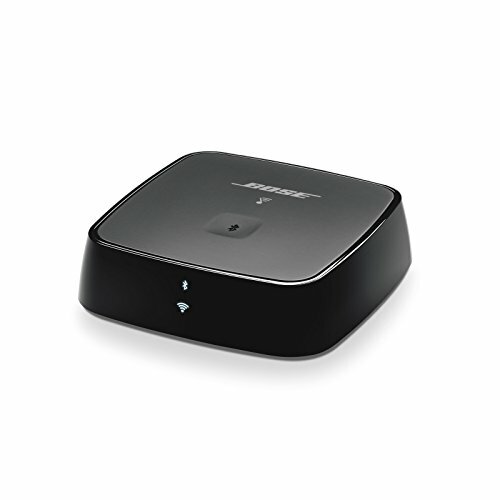 UPGRADE BLUETOOTH FOR YOUR BOSE Sounddock. Using DockLinQ to add bluetooth for your Original Bose SoundDock, Bose SoundDock I, SoundDock II, Portable SoundDock, SoundDock 10 and other 30 pin Music Docking Stations like JBL, Philips, Sony, Yamaha, iHome, Beatbox etc. Supports iPhone and Andriod phones. Please see attached picture to check DockLinQ compatibility list. QUALCOMM CSR BLUETOOTH TECHNOLOGY: Powered by CSR High Quality Module, Outputing High Quality Sound, Extra Long Bluetooth Wireless Range. DockLinQ bluetooth range is 70 feet in open air while other brand is 15-30 feet. DockLinQ supports 2 devices paring and memorize up to 8 devices. Plug, Pair, and Play, no more actions, enjoy music wirelessly. ROBUST ALUMINIUM SHELL DESIGN. Elegant and Simplism, Better Sturdy 30 pin Plug. Aluminium shell design makes nice tactile. IMPORTANTLY our aluminium shell is much more robust while many buyers complained other brand's 30 pin plug is loosen and plastic structure is easy to be broken if fall on ground. BUILT-IN 5 HOURS BATTERY WITH AUX JACK. With built-in 5 hours battery and AUX jack, DockLinQ can rescue your premium wired headphones since iPhone 7 cancelled 3.5mm aux jack. 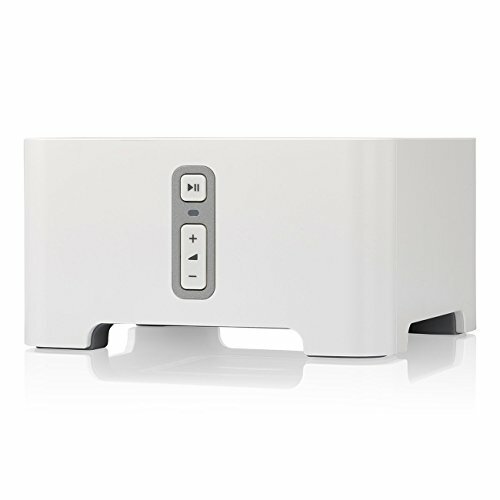 Meanwhile DockLinQ aux jack is designed for alternative solution to connect with some digital (not analog) docking station as 30 pin digital dock plug can not input sound, just use 30 pin dock to supply power and input sound for digital docking station via aux jack. Perfect solution for digital docking stations. DockLinQ is not compatible for any cars, it is subject to car's compatibility. DockLinQ works fine with Hyundai/KIA(Tested already). DockLinQ doesn't work with Audi, VW, Mercedes, BMW, Infiniti. We have Airdual powered by CSR and apple MFI chip for car ipod connectors which support original steering wheel control and head unit control. We strongly recommend buy Airdual for car iPod connector. Please check www.amazon.com/invery to select correct model for your car. [Plug & play] not a tech junkie? No problem! With our Bluetooth transmitter set, there is no need to worry about pairing. Simply turn on both the transmitter and the headphones and they will auto connect for the ultimate user friendly Audio experience. [Magical match] compatible with 99% of TV's on the market, Our HT4186 supports Optical/ AUX and RCA Audio output without extra wires to get in your way. [Works together...And apart] designed for the ultimate in versatility, our headphones can be used as a set or independently. Use the headphones with your phone, PC, TV or other favorite Bluetooth-enabled device. Use the transmitter to Bluetooth enable your favorite headphones, speakers and more! [No more delay] featuring fast stream technology, This set allows you to reduce Bluetooth delay- delivering high quality sound in perfect Synchronization. Ideal for watching TV and movies, HT4186 can also support 2 pairs of headphones simultaneously. [Long range & Battery life] Featuring Bluetooth Class I technology, transmits audio signals up to 100ft/30M. Our headphones will last through several movies or gaming sessions with a battery life up to 20 hours. Sonos Connect Wireless Home Audio Receiver Component for Streaming Music, Amazon certified and works with Alexa. 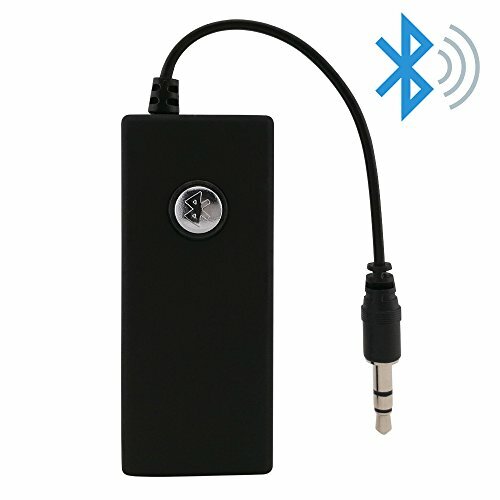 Features: * 3.5 mm stereo wireless Bluetooth receiver. * Powerful Bluetooth ic, more stronger compatibility. * Red and blue led indicator design that is beautiful and humane. * High performance amp chip, can push the headset, and high-power speaker, applicable to all types of speakers. * Complies with Bluetooth 2.1, adding the ability to listen wireless through your existing 3.5 mm wired headphones. * Supports digital Bluetooth enabled devices, such as iPad, iPhone, Bluetooth cell phone, Bluetooth pc and Bluetooth MP 3/4/5.Operation steps: Device identification: H-166 1. 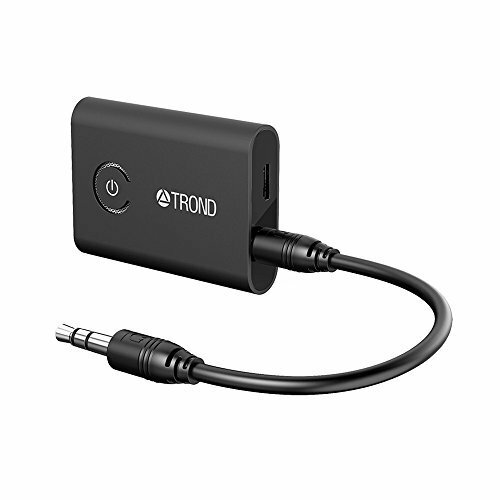 Connect the Bluetooth receiver and the audio speaker by the 3.5 mm audio cable. 2. Open the slide switch-turns on the Bluetooth music receiver. 3. Open "Bluetooth setting" of the Bluetooth enabled devices, and search the device named " h166" to pair, (pairing code: 0000). 4. After successful connection, the blue led light alone flash slowly, and the music can be played immediately. If you want to change the player when working, it should be disconnected from the computer or mobile which in use and re-matching the other Bluetooth devices. It is better to turn off the device to charge, and the red light will bright when charging until the battery is fully charged. 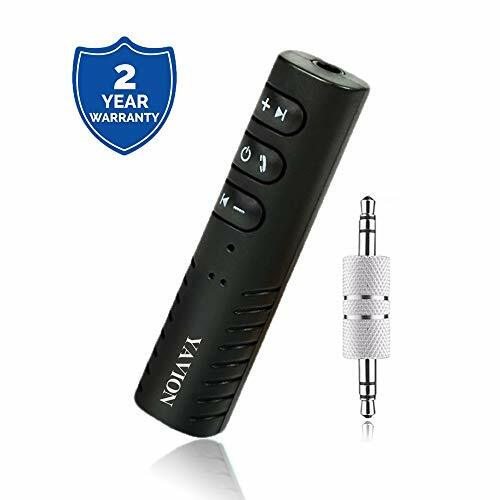 Basic information: Bluetooth version: V2.1+edr, classll frequency range: 2.402ghz - 2.4835ghzworking hours: 7 hours standby time: 150hours battery specifications: Rechargeable lithium battery, 3.5vcharging power supply: 100 - 220vpackage includes:1* mini usb charging cable 1* wireless Bluetooth audio dongle 1* user guide. AS the WORLD'S FIRST DUAL LINK APTX LOW LATENCY supported transmitter, Priva III can connect to 2 aptX Low Latency headphones / speakers / receivers simultaneously, and both will have no lip sync delay. 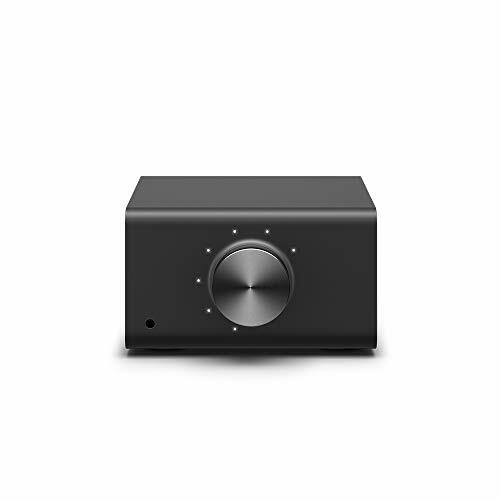 Add Bluetooth function to TV, DVD, PC or any audio source device, and stream high quality audio to Bluetooth speakers, headphones and receivers. Product Specification * Bluetooth version: 4.2 * Bluetooth profile: A2DP * Audio codec: SBC, Fast Stream, AptX, AptX-LL * Operating Range: Up to 30 meters * Weight: Body approx. 16 g; Base approx. 7 g * Size: 48 mm (L) x 48 mm (W) x 15 mm (H) What's in the box? * Avantree Priva III * Magnetic base * 3.5 mm audio cable * RCA audio cable * Micro USB sync charge cable * User manual * Quick user guide Warranty 24-month quality warranty for normal use from Avantree directly. Contact Avantree Support for this. DESIGNED FOR ANALOG AUDIO OUTPUT DEVICES: The Priva III is the perfect solution to enable Bluetooth streaming from any device with an analog audio output e.g. TVs with RCA Audio 'OUT' or AV receiver with a big headphone jack. If your TV only has an Optical audio output, please consider the "Avantree Audikast" instead. LONG RANGE AND EASY CONNECT: Our state-of-the-art Class 1 Bluetooth technology transmits audio signals up to 100ft/30m so you don't have to be chained to your device. In addition, the Priva III is a breeze to pair and auto-reconnects to the last paired device. FOREVER POWER: This Bluetooth transmitter won't ever need charging because it runs on USB power from your TV's USB port. It powers up automatically when you turn on your TV. Alternatively, you can also charge it using any phone charger, PC USB port or other 5V USB outlet. COMPUTER USB AUDIO: Ideal for PC use since it supports digital USB audio output. Just plug the Priva III directly into any PC USB port - no need for additional AUX cables. Feature 3 IN 1 DESIGN, no need to turn off the Bluetooth transmitter receiver, no need plug/unplug any wires, easily choose between Bluetooth mode (wireless) and Bypass mode (wired) with the flip of a switch. High fidelity lossless sound quality(CD-quality), ultra low latency sound output, using the latest ANC noise reduction and echo cancellation technology. Supports both RCA/3. 5mm aux audio connectivity digital/optical audio input and output. 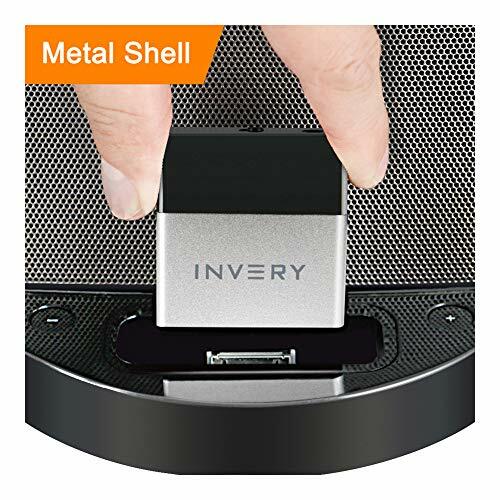 Compatible with multiple devices, including TVs, PCs, CD/DVD players, Kindle Fire, iPods and tablets, MP3/MP4, and other equipment that emits stereo sound. Visual user interface, you can be clearly to see while the device is in pairing mode and what type of codec is in use. Support Dual Stream in TX Mode and Multi-Point Connection in RX. No need to disconnect the current connected device, just double-click the "pairing" button for auto pairing the new added device. Specification Bluetooth version: 5. 0 Chip: CSR8675 Operational range: > 80 meters Supports profiles: A2DP AVRCP Audio codecs: aptX Low Latency, aptX, SBC Battery: 1000mAh Charging time: 4. 5H Working time: RX > 20H , TX > 15H Input voltage: DC 5V Input / output connection: SPDIF, 3. 5mm stereo audio jack Product size: 4. 943. 08*. 0. 94in Product weight: 0. 253lb Package include: 1 x Wireless Bluetooth Transmitter 1 x 3. 5mm RCA Audio Cable 1 x USB Charging Cable 1 x 3. 5mm Audio Cable 1 x Optical cable 1 x User Guide NOTE: Operation range can be affected by Wi-Fi routers, Wireless TV adapters, space obstacles, such as walls, baffles etc. and also depends on the receiving device. 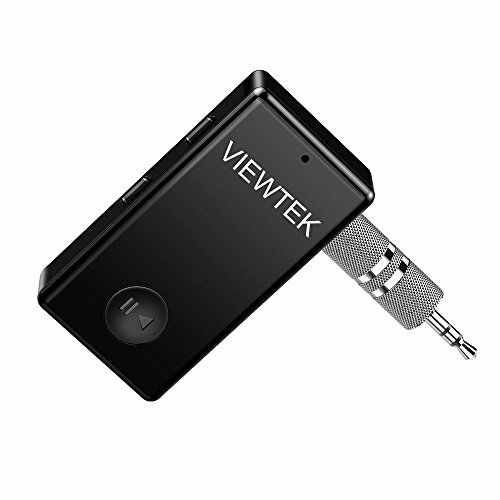 Large battery capacity - The built-in 1000 mAh battery makes it portable, this Bluetooth receiver takes only 4. 5 hours to be fully charged but allows for 15 hours in TX mode&20 hours in RX mode of solid use, that will be enough for listening all day or on a long road trip, you can also use it while charging. Note: This product will automatically enter the dormant and power-saving mode after 6 minutes without connection. Nfc & multiple connection - supports NFC for fast Link and comes with optical cable, 3. 5 mm aux and RCA Audio cable to satisfy all your connection needs, It is compatible with almost all tv's and Audio systems that have an Audio input, and the volume adjust function can be used for many devices which do not have their own volume controls. The B1 is a perfect example of the extension of this mission. With music streaming services and digital music players becoming the centre of the modern music system, consumers have had to accept a loss of the premium components resulting in the loss of sound quality. 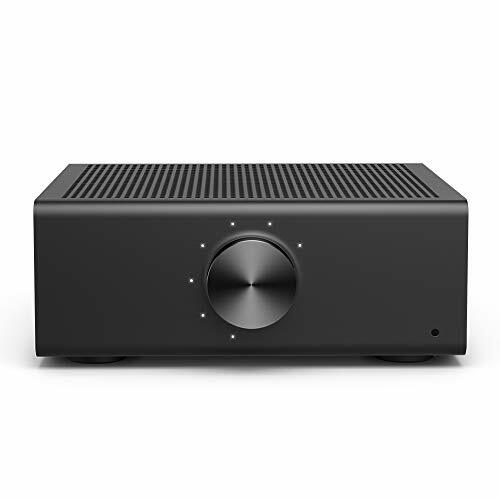 The B1 is a high-fidelity Bluetooth Receiver that allows you to stream your favorite music app from your Bluetooth-enabled smartphone, computer, or tablet to any existing music system . With support for the aptX HD audio codec built in, you can enjoy 24 bit high resolution audio with all the convenience of a Bluetooth connection. Easy setup The B1 is a simple way to get greatsounding wireless music from your device out to any music system. Pairing your device is simple, quick and no additional or complicated software is required. Here's how to connect B1 to your music system and pair with your tablet, computer, or smartphone. Connect the included audio cables from the B1 rear panel to your music system. Plug the included power cable from B1 into an AC outlet. B1 will automatically go into pair mode. On your device, turn on Bluetooth and select Audioengine B1 to pair and connect. Play your music. Setup is really this easy! See and hear the difference The aluminum case of the B1 reflects traditional Audioengine design and the highquality components and audio fidelity are typical of Audioengine's commitment to great sound at affordable prices. 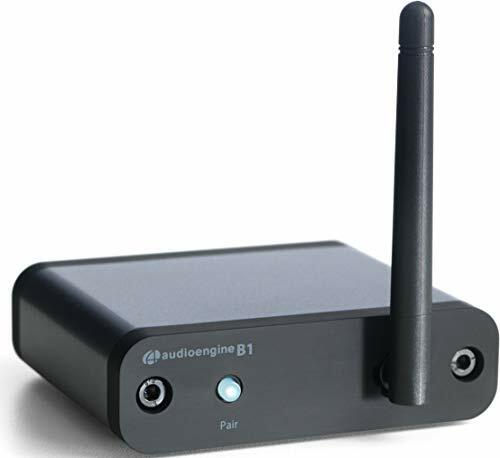 The Audioengine B1 continues to close the gap between your computer music and home hifi and even if you're not an audio enthusiast we guarantee your music will sound better! HT3189 is a wireless transmitter and headphone set. The included transmitter can be used with your TV, DVD, PC or any other audio source to stream high-quality audio to the included headphones with NO LIP SYNC DELAY. This set is PRE-PAIRED and therefore far more convenient to those that don't wish to be bothered with the Bluetooth pairing ritual. 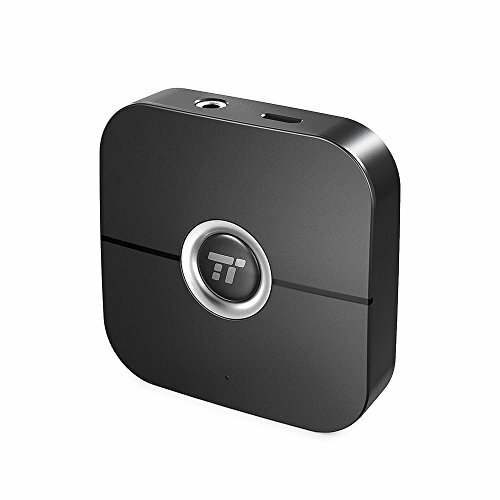 Product Specifications Bluetooth Transmitter BTTC-318 * Bluetooth version: V4.2 * Support profiles: A2DP * Audio codec: aptX-LL, aptX, Fast Stream, SBC * Operating Range: Up to 30 meters * Product size: 48mm (L) x 48mm (W) x 15mm (H) * Weight: Body approx. 16g, Base approx. 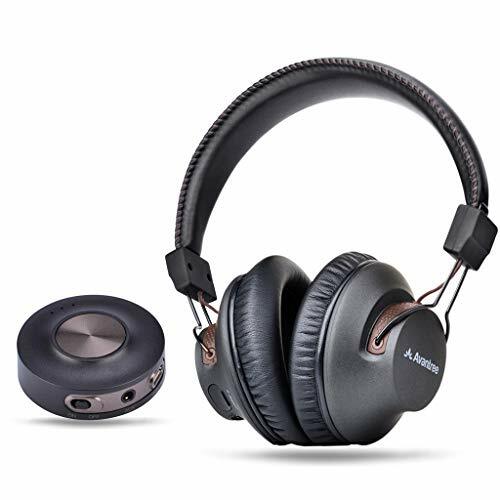 7g Bluetooth Headphone BTHS-AS9S * Bluetooth version: V4.1 * Supports profiles: headset, handsfree, A2DP, AVRCP * Audio codec: Fast stream, SBC * Operation range: Class 2, 10 meters * Driver size: 40mm * Impedance: 32 ohm * Frequency Response 20Hz-20KHz * Headset size: 200mm x 180mm X 80mm * Ear pad inner diameter: 6.3cm (length) 4cm (width) * Ear pad Outer diameter: 10cm (length) 8.5cm (width) * Headset weight: 200g What s in the box? * Headphones * Transmitter * Micro USB data/charging cable * 3.5mm audio cable * Audio Splitter * 3.5mm female to RCA male cable * Quick User Guide * User Manual * Contact Card Warranty We offer 24 Months Warranty for normal use. Live online support, Telephone Support, and email support are available. Video user guide are available also from Avantree site. Support Any issues or suggestions, contact us via our US toll free No, Intl number, OR email us and 1 business day reply is guaranteed. We are committed to 100% customer satisfaction. 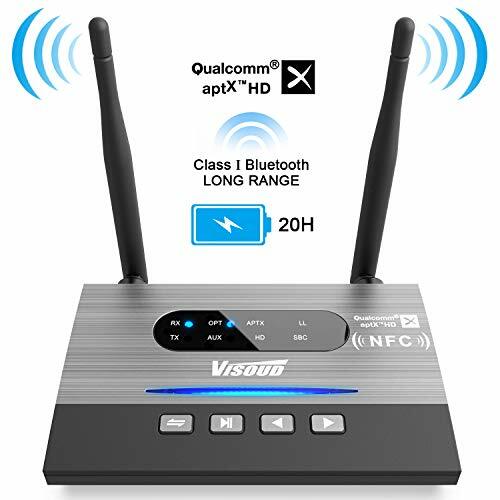 PLUG and PLAY WIRELESS TV HEADPHOE TRANSMITTER SET Just turn on the Bluetooth transmitter (Priva III) and the Bluetooth headphone (AS9S) - they will connect automatically, without needing to pair. WIDE COMPATIBILITY Wide support for multiple audio output standards, works with TVs / DVD players with AUX or RCA audio outputs and also with any PC / MAC / PS4 via the digital USB audio output without needing additional cables. 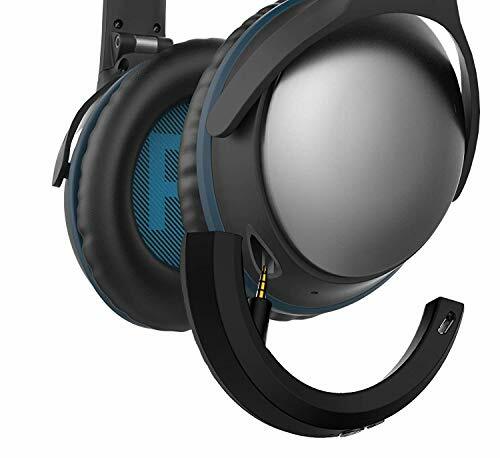 FLEXIBLE USE Headphones (AS9S) can be used seperately with other Bluetooth transmitting devices, e.g. cellphone, PC, TV. Transmitter (Priva III) can be used seperately with any Bluetooth receiving device, e.g. headphones, speakers. UP to 100FT WORK RANGE The Priva III's Bluetooth Class I technology transmits audio signals up to 100ft. NOTE: Operation range is affected by physical obstructions (walls, people), wireless interference (Wi-Fi routers, Wireless TV adapters) and also depends on receiving device (e.g. TWS earbuds and devices with small internal antennae may have shorter range). your life. From home goods to gym essentials and audio accessories, move life forward with products designed to match your grit and Speed. Easy Setup: Easily connect most smartphones and audio devices via RCA and 3.5mm inputs to transform your wired speakers or wired earphones into a wireless sound system. Extended Battery Life: With up to 55 hours of battery, the 850mAh rechargeable battery will provide you with long-lasting music. Stable Connectivity: Bluetooth 4.2 technology features a reliable wireless range of about 50 ft / 15 m, and connecting is seamless. User-Friendly Controls: Control your music right from the receiver - play / pause music. Double the Fun: Pair two Bluetooth enabled devices such as your smartphone and laptop and switch between devices to stream audio wirelessly. Mpow Bluetooth 4. 1 Transmitter/Receiver ---- Match Your Smart Life Mpow 2 in 1 has a mini and portable body and is designed to convenient your life for which could be easily and quickly connect with your Bluetooth devices within 33 feet. If you are annoyed with the wired devices, Mpow will save you from the mess and simplify. RX Mode (Receiver Mode) 1. Connect the device to your non Bluetooth headphone/home speakers or car stereo system with 3. 5mm audio cable. 2. Pair the receiver to your smart device. 3. Now you can enjoy your music through your headphone, speakers, home stereo system/car stereo system, or answer hands free calls. TX Mode (Transmitter Mode) 1. Pair the device to your Bluetooth headphones or Bluetooth Speakers. 2. Plug it in your non-Bluetooth media devices (such as MP3, CD/DVD player, TVs, etc. ) via 3. 5mm audio cable or RCA cable. 3. Now you can enjoy your music via Bluetooth speakers/Bluetooth headsets from your non-Bluetooth media device! Voice Assistant Long press button + and - simultaneously for 1 second, you could trigger the voice assistant function of your phone, and repeat the procedure to close. Specification Bluetooth Version: 4. 1 Frequency Range: 2. 4GHz Output Power Category: Class 2 Bluetooth Mode: HFP/HSP/A2DP/AVRCP Bluetooth Range: Up to 33 feet Battery: 180mAh Working Current: 15mA (MAX) Charge Voltage: DC 5. 0V Packing List 1 x Bluetooth Receiver and Transmitter 1 x Charging Cable 1 x 3. 5mm Audio Cable 1 x 3. 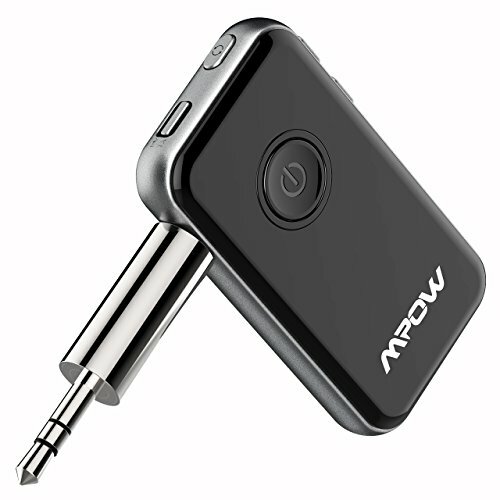 5mm Audio Adapter 1 x RCA Cable 1 x User Manual : Every MPOW Product includes a 45 days money-back & 18-month worry-free. Safe hands-free calls in RX mode: Mpow Bluetooth Audio adapter is equipped with built-in mic for safer hands-free calling while driving. Designed with independent volume +/- button to have a perfect control of voice up/down & playing/pausing. Warranty: Every Mpow product has a 45-day money back and 18-monthes warranty. 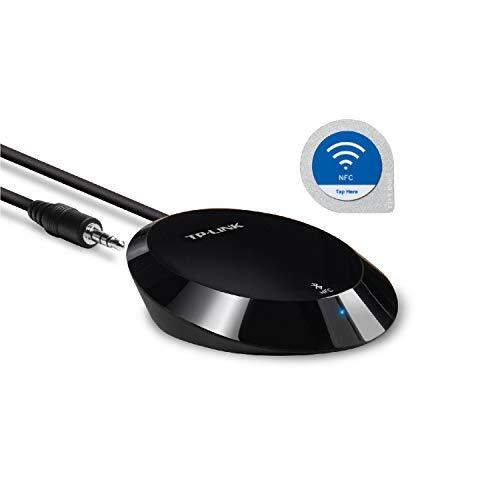 Whether you want to stream music to wireless headphones / speakers or make your old sound system wireless capable, the 2-in-1 Wireless Transmitter and Receiver is your perfect choice. 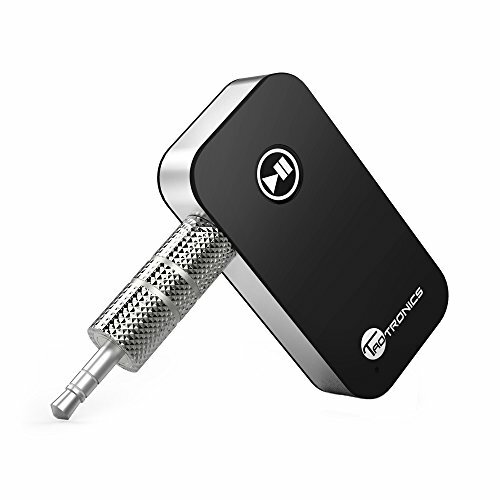 Packed the latest Bluetooth 4.1 technology, dual connector, and many handy features this portable high-definition adapter will make your best music even better. While many adapters on the market only support 3.5mm headphone jack or RCA connection, the adapter edge ahead by also supporting TOSLINK optical cable input or output so your TV with optical sound output can feed the adapter, and your audio system can also become wireless with an optical connection. With aptX supportive headphones and speakers, the adapter (in transmitter mode) can further reduce the latency to only 40 milliseconds, making your TV, movies, and videos a pleasure to watch. 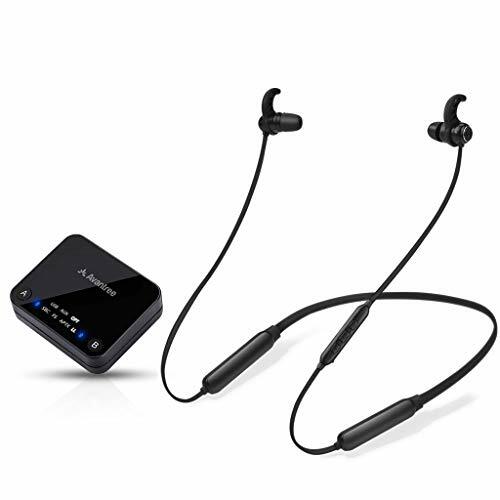 [ TRANSMITTER & RECEIVER DUAL MODE] Upgraded lightweight 2-in-1 Bluetooth V4.1 transmitter and receiver; able to use as a transmitter or receiver; can pair with two headphones / speakers at once. [ CONSTANT STREAMING AND AUTOMATIC RE-PAIRING] Internal battery provides up to 15 hours of using, support charging and streaming at the same time, and automatically re-pair with existing paired devices. Enjoy hands-free voice access to your music on SoundTouch speakers using any Alexa-enabled device like the Amazon Echo Dot. Just open the Alexa app. Search for Bose under the Skills menu. Then follow the simple one-time setup. The YAVION Bluetooth Receiver instantly realizes your smart life. With a built-in HD microphone, you can enjoy high-quality stereo (most of the receivers on the market are mono) music and hands-free calling or navigation through your smartphone. Intelligent noise reduction for connection lengths up to 33 feet guarantees link quality. 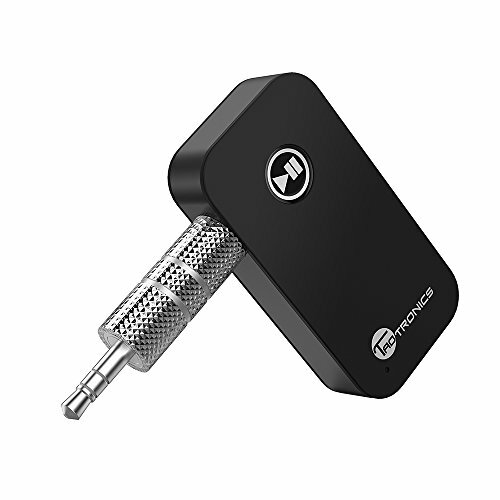 The portable Bluetooth receiver can connect two Bluetooth devices at the same time, and can be connected automatically after disconnection. 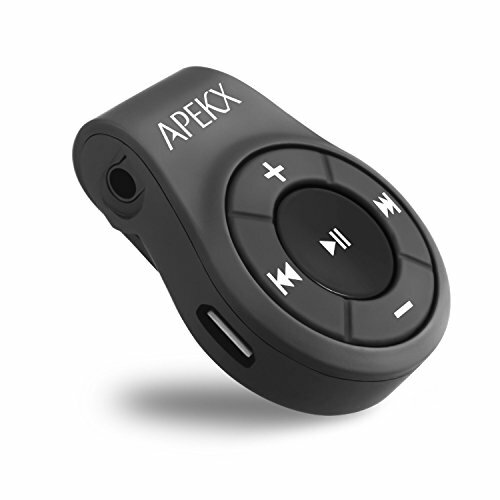 It is also compatible with most smartphones and Bluetooth devices for home audio systems or car audio systems and wired headsets or speakers (via 3.5mm audio cable/adapter and connection, then pairing the phone with a Bluetooth receiver for listening Smart life, wireless answering calls or music) to loved ones, friends, colleagues, are the best gifts. Product parameters: Bluetooth version: 4.1 CSR Receiving distance: 10 meters Talk time: > 8 hours Continuous music playback time: > 8 hours Charging time: 80 minutes Microphone sensitivity: + - 42db Output power: 30mw Frequency response range: 20Hz-20KHz 1 *Bluetooth receiver 1 * 3.5mm audio adapter 1 * charging cable 1 * User Manual Easy to Use: 1. Connect the receiver to a non-Bluetooth headset/computer speaker or car stereo. - Press for 3 seconds on first use until the blue and red indicators flash alternately 2. Use the built-in Bluetooth to turn on the Bluetooth function of your phone or music device, then select Search for Bluetooth devices and select 3. Pairing is successful and start listening to music. 4. Make sure your phone is not connected to other devices. Note:Bluetooth receiver doesn't turn on automatically,please long press the Multifunction Button about 3 seconds, when it turned on the blue light will flash,then connect it with your Bluetooth devices; 2.Please be sure the charging input voltage to it do not over 5V and do not use fast charger for the consideration of safety and the serve life of product. TX Mode:use as a Bluetooth transmitter. Switches to "TX" mode. Bluetooth-enable your TV, AV receiver, TV box, projector, iPod, CD-player, Amazon kindle and other home audio source devices to stream wireless audio to your favorite Bluetooth headphones or speakers. RX Mode:use as a Bluetooth receiver. Switches to "RX" mode. Bluetooth-enable a wired ear buds, speaker, sound bar, home theater to receive high-quality music wirelessly streamed music from your cell phone or PC without spending more to order Bluetooth headphones or speaker. Supports apt-X LL, apt-X, SBC. Also supports aptX Low Latency when pairing with two Bluetooth headphones or speakers simultaneously. 1. Operation range can be affected by Wi-Fi routers, Wireless TV adapters, physical obstructions like walls,metal obstacles etc, and also depends on the receiving device. 2. If the device can't get to pair, please make sure Bluetooth devices with enough power; make sure your BT headphones or speakers not in pairing mode with other device; or set all devices and our transceiver to factory default and pair again. LATEST BLUETOOTH v5.0 AUDIO ADAPTER Bluetooth 5.0 is much better than the previous Bluetooth versions which include increased data rate, faster range, and more broadcast capacity. BTMAGIC 4863B stereo adapter features the latest Bluetooth v5.0 technology to give you a great using experience. NO LIP SYNC DELAY& DUAL LINK Built-in Qualcomm high-end chips, support Aptx Low Latency, aptX,SBC codec. There is almost no delay in enjoying high fidelity sound quality audio stream. Utilizing the latest ANC noise reduction and echo cancellation technology. You can also connect 2 headphones with no lip-sync delay while watching TV, movies or gaming in TX mode. OPTICAL/3.5mm AUX & RCA Unlike other simple Bluetooth TV/PC transmitters/receivers only have 3.5mm audio cables. We offer a full range of cable types, including optical cable, 3.5mm AUX and RCA cables,USB charging cable. Compatible with almost all devices.